If you’ve always thought you would like to own and operate your own business but were never sure where to start, this is the guide for you. 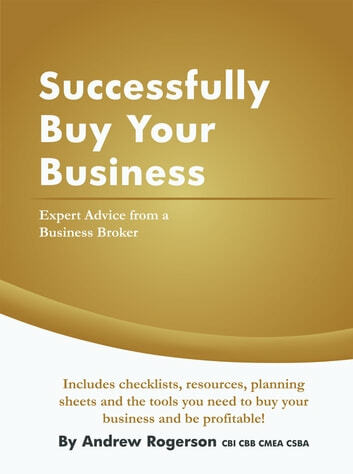 This 174 page workbook starts by asking the question if business ownership is for you. It then explains the options available to you and then takes you through, in detail, a step by step process to determining what sort of business you can buy, what you will need to buy a business, and, how to evaluate a business for sale. 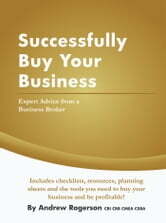 It also includes the steps to prepare for business ownership with your legal entity, understanding business licenses and permits, how to obtain finance to buy a business, accounting processes and terms, financial planning tools such as profit and loss projectors, sales forecasts, how to create business plans, sales and marketing plans. There are lots of checklists, resources, other planning sheets and tools so when you buy your business you are up and running as quickly as possible for maximum profit.